The Spartan Economy Jr. convertible hand truck is perfect for moving large loads. 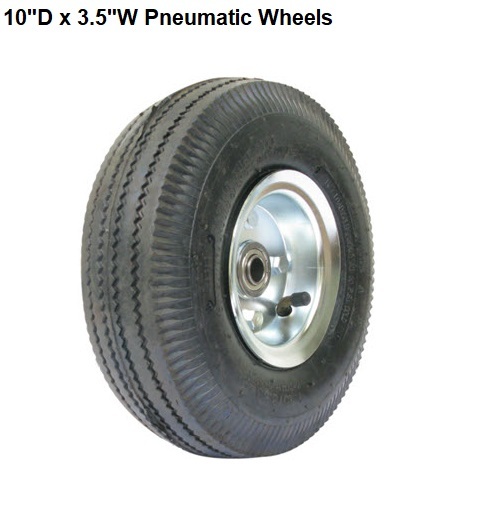 Its aluminum frame offers an 18” wide nose plate made of extra strength aluminum alloy. 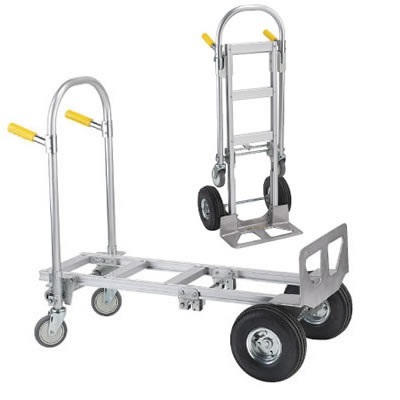 As a 2-wheel hand truck, it can carry 500lbs. As a 4-wheel platform hand truck, it can hold up to 1000lbs! And, at 37.5 pounds, it’s one of the lightest weight hand trucks that can handle that much weight. Its pedal release makes it incredibly easy to convert from 2-wheel to 4-wheel and back! 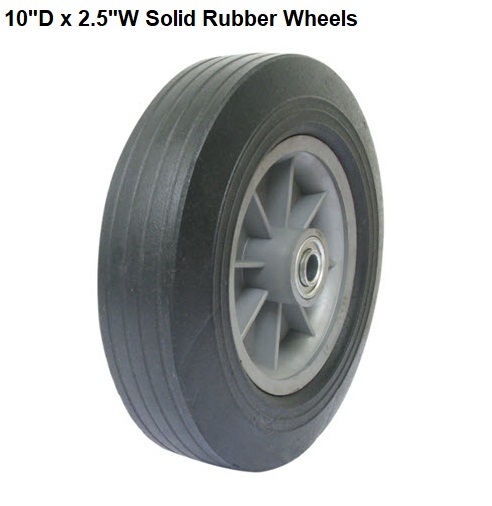 It has easy grip handles and 10” pneumatic wheels that will make your trip a smooth one, and non-marking swivel casters to protect your floors from scratches. 2 Wheel Capacity 500 lbs. 4 Wheel Capacity 1000 lbs. Check out the senior model Wesco Spartan. 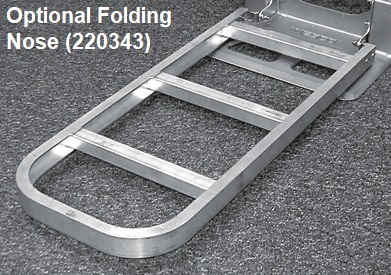 Check out all of our convertible hand trucks here. I searched alot for the right cart. We are a community handbell choir that travels and performs concerts. Our equipment is heavy...big cases for big bells and heavy tables. We needed something to hold the weight and for us to move efficiently and quickly. This fits the bill perfectly. Also love that it goes into a two wheel cart for our misc items we carry. Thank you for building a great product. Another one may be in our future. Advantages: Love the 4 wheel and easy conversion to 2 wheel cart. It holds alot of weight so we can stack cases. 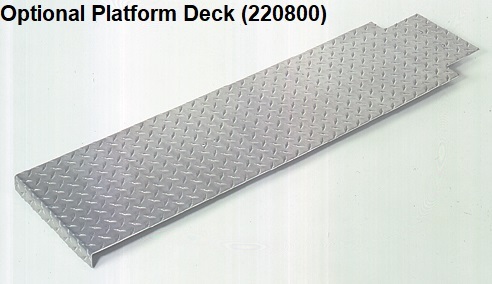 Moves easily through doors and ramps. Disadvantages: None that I can think of right now. We love it. The product was delivered on time. Easy to put together. A good product I would recommend this product. Disadvantages: None overall a great product. Great item! !! Ordered it on a Thursday night and received it on the following Tuesday. Advantages: Easy to assemble, super easy to use puts my old hand truck to shame. Use it every day. Bring in the delivery business I need something reliable and quick and easy to operate. Disadvantages: None. Except wish the aluminum had a coated to resist scratches.